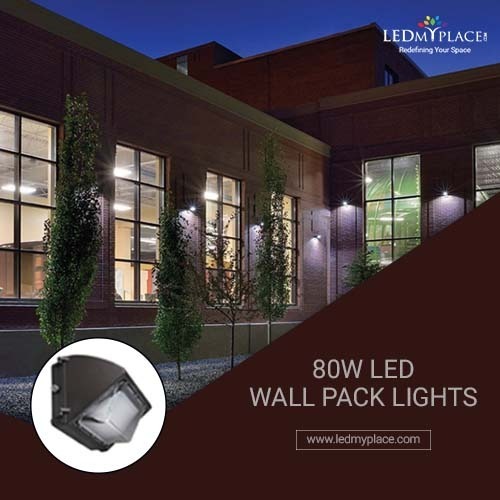 LEDMyplace offers you a wide range of LED Wall Pack to lighten-up your streets, it is having a range of color temperature from 4000K to 6500K and a lumens output up to 17000+ lm ensures a proper illumination at your walkways and entrances. When it comes to energy-efficiency these LED Wall Pack can replace your old (MH) metal-halide fixture up to 250W and brings you the 88% of energy saving. It's a DLC certification product which makes it eligible for the rebate as well. These LED Wall Pack is having a life span of 50,000 hours and LEDMyplace offer you 30-Days return policy after the purchase. Still, want to know more contact our customer support on (888-972-6211).